To veil or to wear Hijab literally means to cover or to screen. The term “Hijab” can also be used to refer to the seclusion of women from men in the public sphere. 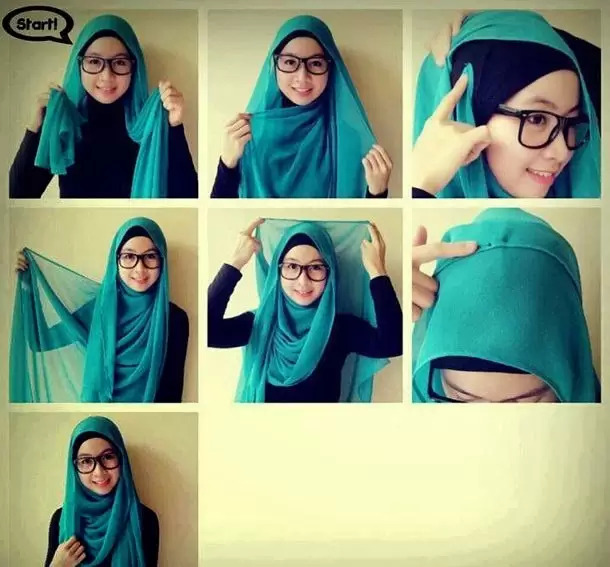 Although it encompasses more than just a dress code, the term Hijab has become interchangeable with the word scarf. And tell the believing women to reduce [some] of their vision and guard their private parts and not expose their adornment except that which [necessarily] appears thereof and to wrap [a portion of] their head covers over their chests and not expose their adornment except to their husbands, their fathers, their husbands’ fathers, their sons, their husbands’ sons, their brothers, their brothers’ sons, their sisters’ sons, their women, that which their right hands possess, or those male attendants having no physical desire, or children who are not yet aware of the private aspects of women.” [Quran.com/24/31]. Woman is born with a desire to show off her beauty and to compete with other women around her. Thus, Allah ordered her to restrain this desire in order to be protected from abuse and harm, particularly, sexual abuse and harassment. 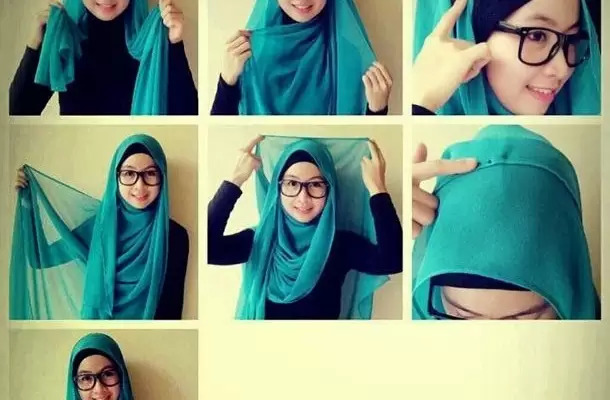 Hijab not only protects women, but also compels men to focus on the real personality of woman and de-emphasizes her physical beauty. A common misconception is that Islam is the only religion ordering women to cover. In both the ancient empires of Greece and Rome, veil was restricted only to noble women, as poor, prostitutes and slaves were forbidden to wear it. Sculpture and pottery from that time clarify that head coverings were associated with prayer and devotion, and that respectable women covered their heads outside their homes. This reveals that the early Christian women veiled their heads in churches and every time they were in public. Thereby, Christian women continued to maintain this practice to some degree throughout the centuries until the 19th and 20th centuries. In the 18th century, head covering was familiar and compulsory. The most familiar form of female head covering was the cap or the hat. It was worn by women of all classes and stations almost all the time, except for formal evening occasions such as operas or balls. It was mainly worn for fashion and protection against the sun. A fashionable hat usually had a shallow, crown, flat and a wide prim. There are so many varieties of cap style. For example; Caps without a band, but with a ruffle and usually barbes (a prolongation of the ruffle that either hangs down or is pinned up). Another example is Pinner caps pinned to the hairdo, and they are so small that they can hardly be seen from the front. Consequently, whether it is a cap or something else, it achieves the purpose which is to cover the head. However, although Hijab or head covering existed in many cultures even before Islam, it is still misunderstood by many people. People including observant Christians are often the first to criticize Islam because of Hijab. Feminists and the western media often portray Hijab as a symbol of oppression and slavery of women.